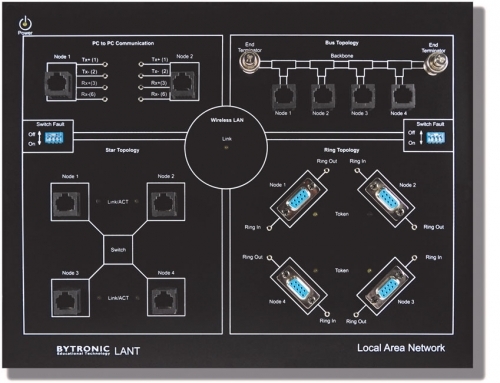 The Local Area Network Trainer provides the student with an understanding of the fundamentals of networking. Student gain a knowledge of the different network layers, cable design and the building of complete networks used in computing. The student can understand and implement various topologies using different IEEE standards. Connections can be made in different topologies and data can be transferred. Topics covered include the protocols and topologies used in networking, measurement of error rate, throughput and the effect of errors on protocols. 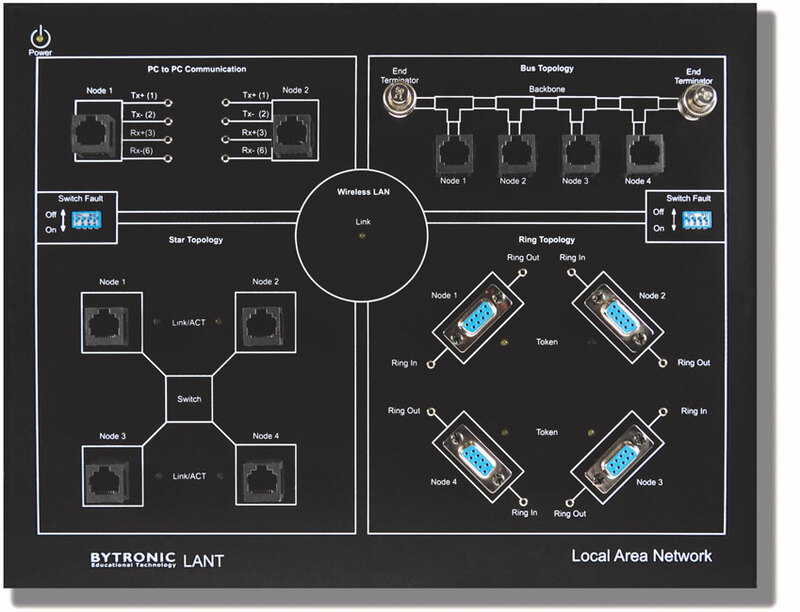 The versatile software provided with the LANT will allow the student to observe the various effects and configurations on network along with the graphical representation.